Friends and family event at Disney Stores. 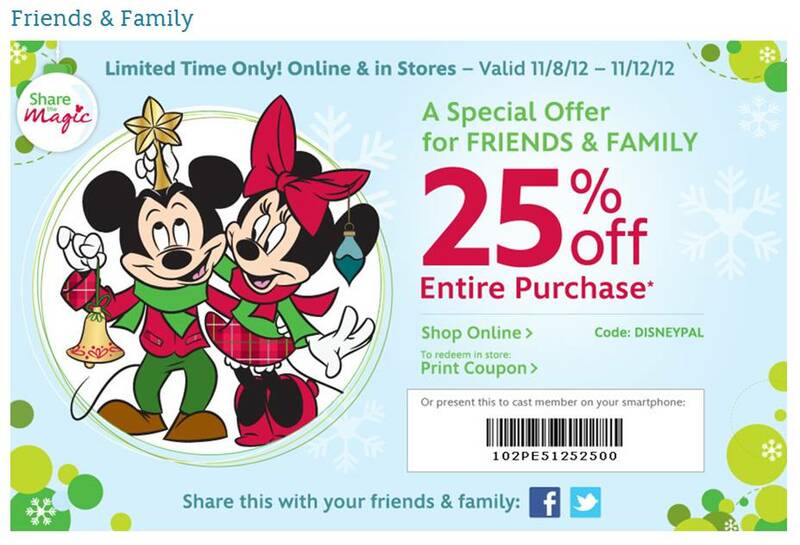 25% off you entire purchase with coupon or coupon code (DISNEYPAL). This deal expires November 12, 2012. Gymboree Circle of Friends #Coupon 30% off Everything!